Body sculpting is becoming increasingly popular for patients who want to define their figure. The technique targets fatty deposits and allows the patient to achieve a slender, toned, and youthful appearance. At the Center for Women's Health, the professional staff offers a state-of-the-art body sculpting technique that works on hard-to-reach areas of the body: SculpSure®. The staff at the facility encourages residents living in Oxford, North Carolina, and the surrounding neighborhoods to make an appointment to discover the benefits of this unique technological technique. Body sculpting is a unique medical procedure that enables the provider to target hard-to-reach fat deposits in the body that don't always respond to exercise, diet, or other traditional weight-loss methods. If you have lost a notable or large amount of weight, you can utilize the SculpSure procedure to reduce and remove the fat that remains in specific areas. You may also want the procedure to achieve a higher level of definition or firmness in some regions of the body. The skilled, knowledgeable providers at the Center for Women's Health offer body sculpting as an effective and efficient treatment option that can be used in conjunction with a comprehensive weight loss program to help you achieve the natural-looking look you desire. SculpSure is a minimally invasive, nonsurgical technique that involves the CynoSure laser. The laser targets deposits of fat and heats the cells up 42 to 47 degrees Celsius. This damages the cells at their core and causes the fat cells to start to deteriorate. Over the next three weeks, the fat cells continue to die and the body safely and naturally flushes them out through the body’s lymphatic system. It takes up to 12 weeks for all of the damaged cells to be removed from the body. At the end of the 12-week period, the final results become visible with the body showing enhanced definition in the initial fatty, targeted areas. The results are permanent as long as no additional weight is gained. In addition to zapping fat cells from the abdomen area and thighs, the professionals at the Center for Women's Health can use SculpSure to treat submental fat such as the folds of skin surrounding the chin. This precise laser is perfectly designed to reduce fat cells under the chin and neck, giving you the slimmer look you’ve always wanted in just 25 minutes of treatment to the area. While SculpSure for body contouring has a weight limit of a BMI of 30 or lower, the submental procedure is approved to treat patients with BMIs up to 43. Check out our SculpSure Before and After Gallery! What areas of the body can SculpSure treat? SculpSure’s minimally invasive and safe procedure allows for a variety of customization options for each individual patient. To learn how SculpSure Body Contouring can help you achieve the results you want and help you get the body you’ve always wanted or get rid of the double chin you never wanted, contact the Center for Women's Health office today to schedule an appointment. 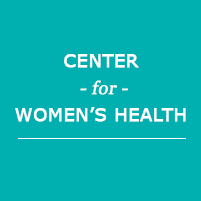 The Center for Women's Health serves the Triangle Area (Raleigh/Durham, Carey, Chapel Hill), Wake County, Clarksville, Virginia, and South Boston - Contact us today to make an appointment!